from Skitterblink and its franchises to the commercial and industrial market, we can now expand and grow the Skitterblink group according to our vision and growth plan. 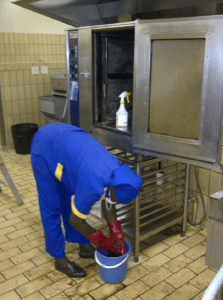 Commercial and Industrial once-off cleaning or Ad hoc services, are based on a call-out and quotation process. 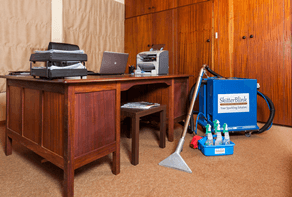 These services include aspects such as supplying labour for morning, day & night shifts, supplying all related chemicals, supplying all brushware & equipment, supplying dispensers & consumables, supplying flowers, hygiene services, carpet cleaning services, tea and kitchen services, attending to outdoor areas and any specific requirements requested. 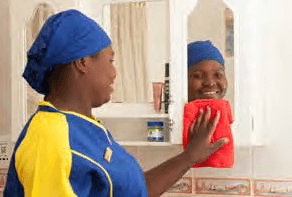 Our specialist service teams are trained and educated in the various cleaning methods required. Ongoing training is a very important part of our franchises and our company vision. Franchisees oversee service delivery to each and every client on their books and their teams on-site manage client requests quickly and efficiently. Skitterblink works with a relationship driven approach to maintain a long term contract with each and every client. Meet with the potential client on site and introduce Skitterblink. a. Dividing the site into Zones (Departments / Buildings / Blocks). c. Determine the relevant tasks per Area per Zone. 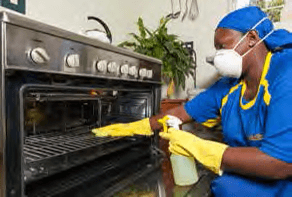 d. Determine the frequency of cleaning tasks required. e. Determine the working shifts. 3.From the information gathered above, a detailed proposal will be finalised and discussed with the client. 4. After the quote is accepted, an agreement of 1-3 years will be signed.